Protecting turtle nests… and a House Wren nesting in a hanging basket! This year we’ve had at least four Painted Turtles which all came up late afternoon on June 9th. We covered over three possible nest sites, though one is never sure if eggs have been deposited. One unknown nest excavated in a grassy slope has been raided. And for the first time we’ve had two Snapping Turtles up from the Indian River. Late afternoon on June 13th, a large Snapper appeared to be depositing eggs in a well crafted nest in our gravelled turning circle right next to a protected Painted Turtle nest, but when she departed a couple of hours later via our front garden she had failed to cover over the excavated nest which for us is unusual. We protected the nest in hopes of a future hatching. 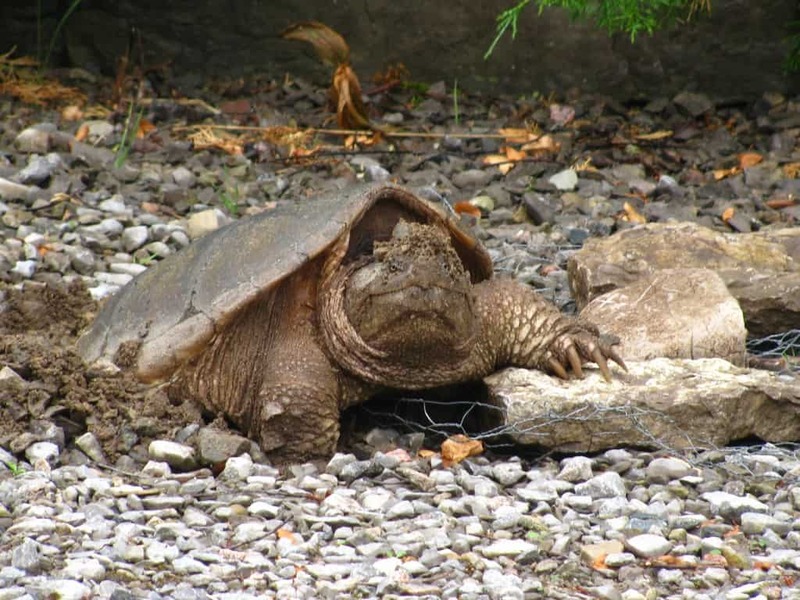 A second Snapper, smaller than the first, was seen wandering about the turning circle about 8 am. on June 18 but there was no obvious sign of any nest. However, on June 19th, a nest unknown to us was raided, As there were still some eggs untouched, we covered it over with the usual chicken wire weighed down by rocks. On the 23rd, the nest was dug up again. A heavy rock had been moved and the chicken wire had been torn apart. We think the culprit was a fox as our trail camera picked up an image heading for the same nest which we had covered yet again, though there is probably nothing left inside. The image is somewhat blurred but taking into account the size of nearby rocks it looks to be a fox. All this time, the protected nest had not attracted any attention so possibly it is sterile. And another first for us, we have a pair of House Wrens, and a nest has been constructed in one of my hanging baskets on the front porch. There’s been a lot of singing and to and froing from the nest, but I have no idea if a female is sitting on eggs. We’ve avoided using the front door and I’ve been carefully watering the basket once a day using a small plastic jug, tipping the water straight onto the soil at the edge of the pot and away from the entrance. This hasn’t deterred the birds though they are never overly happy when I’m on the porch. 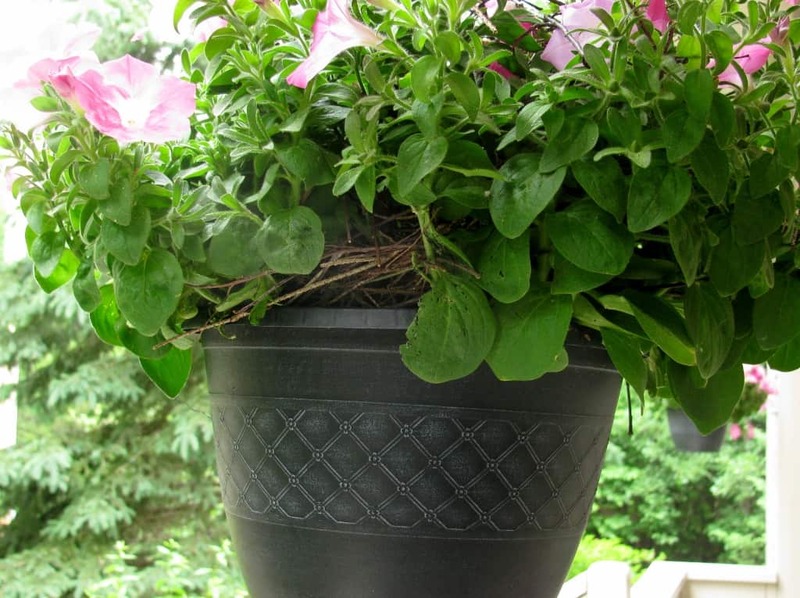 It’s interesting that of the three hanging baskets on the porch, the one chosen is the most protected from wind and rain and receives somewhat less sun than the other two. Good choice. 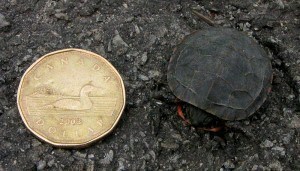 This morning, May 17, I spied a tiny Painted Turtle on our paved path, very slowly making its way to the river. This is the first time we’ve had an overwintering hatchling. As I was taking it down to the river on my hand, it remained quite motionless unlike previous baby snappers that have hatched in the autumn. As soon as those snappers got the scent of water, they raised their heads and started crawling from hand to hand to follow the scent. Once at the river, I held the little one in my hand until it raised its head and showed some interest in its new watery surroundings. Even after I put it on some sunny moss very near shallow water, it took at least another five or so minutes before it became active, then it slipped into the water. Home at last! I do hope it survives. Ontario is home to eight different species of turtle. 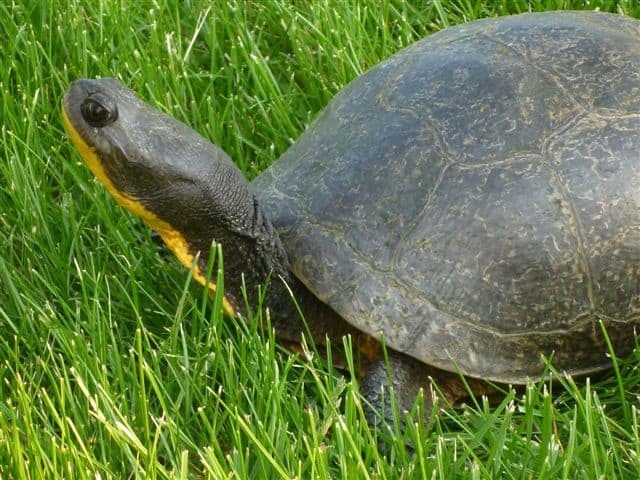 Seven turtle species have been designated as Species at Risk. 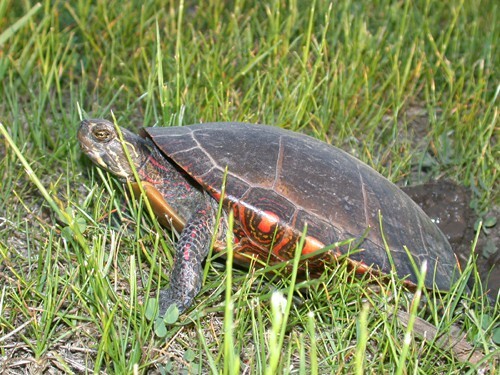 Three species of turtle (in bold) are found in the Jack Lake watershed. On a provincial basis, turtle observations are stored in the Ontario Herpetofaunal Survey database (Crowley undated). 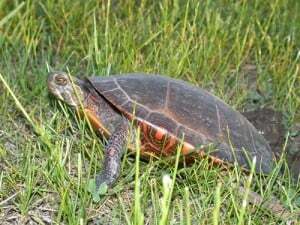 Prior to 2014 there were records of 4 Blandings turtles, 8 snapping turtles and 10 midland painted turtles in that database. Members of the Jack lake Association have sporadically contributed to this database over the years but a concerted effort was initiated in 2014 to solicit volunteers from around the lake to report turtle observations. 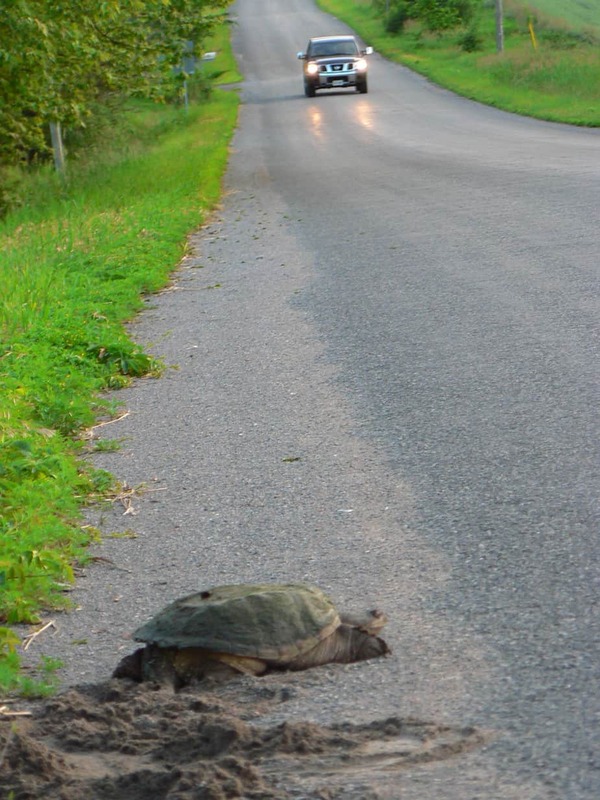 Over the past three years (2014-2016) JLA volunteers have made a substantial contribution (recorded observations of 155 individual turtles) to the knowledge of the distribution and general status of turtles in the Jack Lake watershed. 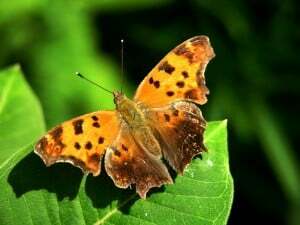 Individual observations, combined with data from the Ontario Herpetofaunal Survey, have been summarized by Kerr (2016). 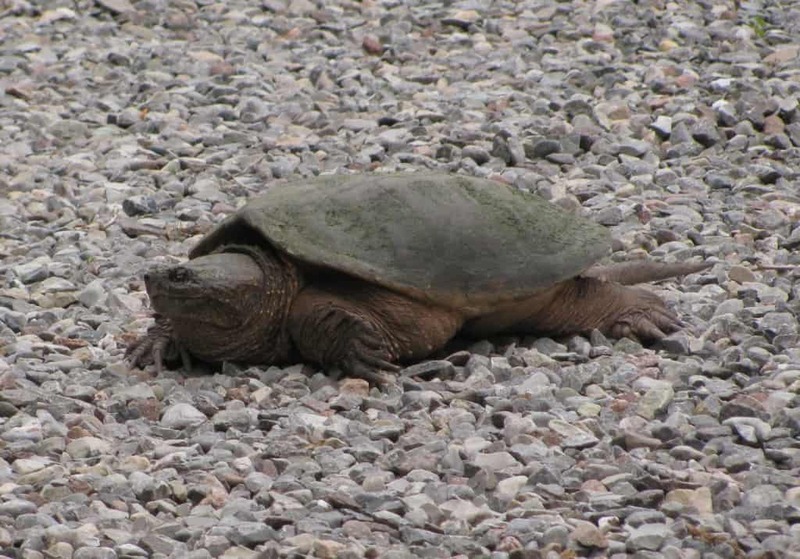 Turtle Observations from the Jack Lake area (Square 17QK35). 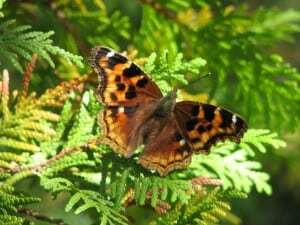 Data was derived from the Ontario Herpetofaunal Survey supplemented by observations from volunteers of the Jack Lake Association. 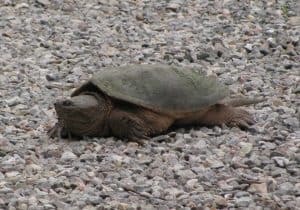 I was riding on the trail today in Jackson Park near the new bridge and helped move some baby turtles from the trail to the banks of Jackson Creek. 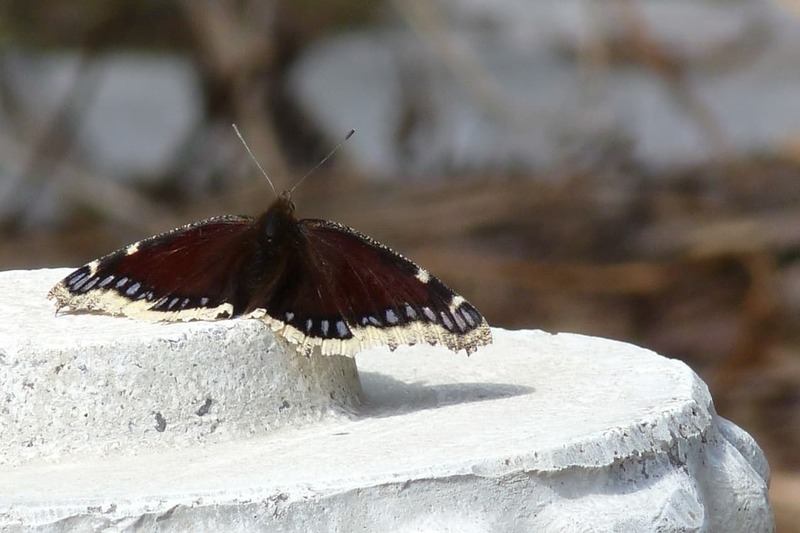 They were about the size of a loonie and covered in mud. I think they were baby ‘snappers.’ Isn’t this early for turtle hatchlings? I think they were probably baby Midland Painted Turtles. Although the eggs hatch in the fall, baby painted turtles usually remain in the nest – underground – until the following spring, when they emerge. They are able to use sugar-based “anti-freeze” compounds to avoid freezing to death. However, they can only do this once. All subsequent winters are spent at the bottom of ponds. 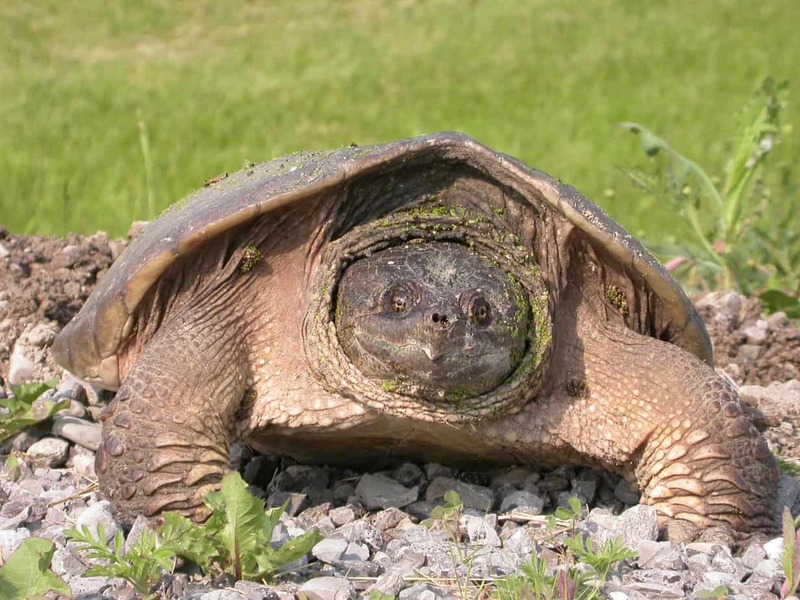 I have never heard of Snapping Turtles being able to overwinter in the ground, but I suppose it may be possible. All turtle eggs hatch in the fall as I know.